The director of football and manager leave the club with immediate effect. 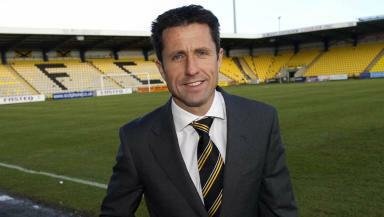 Livingston have sacked manager Gareth Evans, with director of football John Collins following him out of the door at Almondvale. Collins offered his resignation to the club's board as a direct result of Evans' dismissal. A statement from the club read: "Livingston FC announces the departure of Gareth Evans following a managers' meeting today, where we voiced our concern over the stewardship of the club under Gareth. This despite results being generally acceptable. "John Collins, having appointed Gareth to the post despite certain reservations, has regrettably decided to tender his resignation following our decision to relieve Gareth of his duties." Richie Burke, a coach at Livingston, will take charge of team affairs for the foreseeable future. Join in: For debate, chat, comment and more, join our communities on the STV Sport Facebook page or follow @STVSport on Twitter.